As much as I believe I get my Sci-Fi cred where it is due, I can honestly confess I’ve never been a huge fan of the titan known as Dune. The book is an epic in the best sense of the word, but has so many elements that much of the time it can be hard to capture all it’s subtext in one simple reading. It requires a lot of focus and concentration, the kind that even this John Carter of Mars fan has trouble grasping on occasion. But I will always admire it’s existence, for it’s a bold piece that should always be read at some point in one’s life. 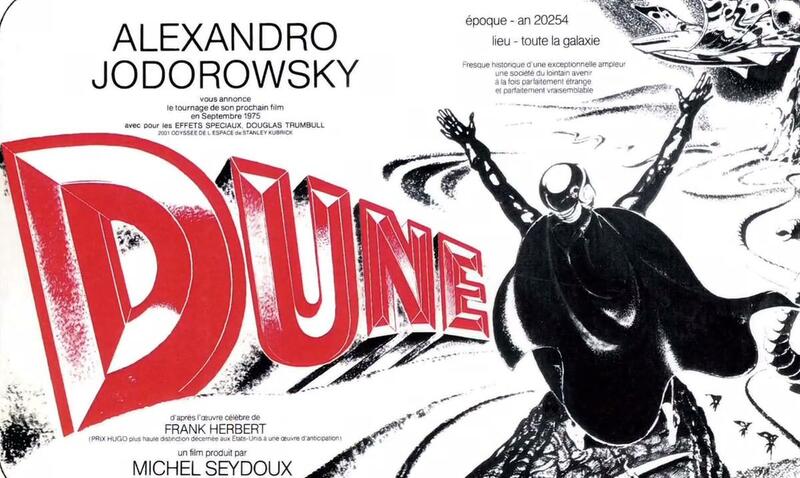 If you know your film history, you know that Dune‘s film adaptation was in development hell since 1973. It started when producer Arthur P. Jacobs optioned the rights to Herbert’s book, but died before the film could be developed. But eventually the rights were given to a very unique artist, who at the time was only known for his bizarre indie darling films (El Topo and The Holy Mountain.) This man’s name was Alejandro Jodorowsky, and he would create what some would consider the greatest movie of all time – unfortunately it never was actually made. 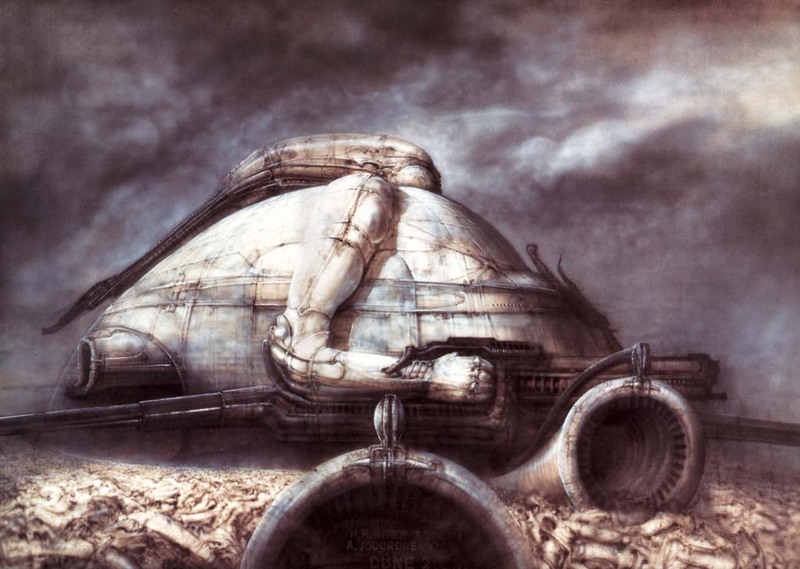 Jodorowsky’s Dune is documentary that tells the story of that masterpiece, and the people behind it. 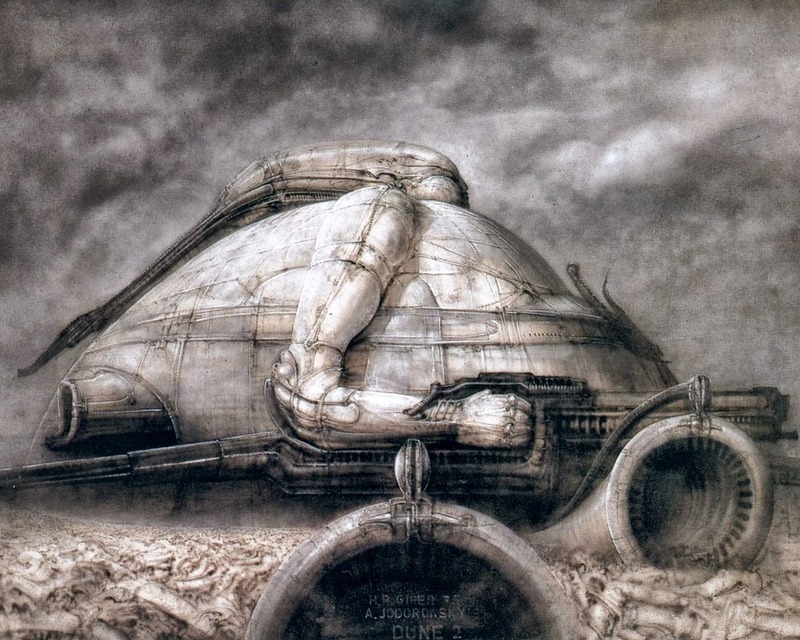 First off, it’s incredible to note the future heavy hitters of the film industry that were going to work on this incarnation of Dune. With a design team filled with a little guy named H.R.Giger (you know that guy that designed the Xenomorphs in Alien), Sci-Fi book cover artist Chris Foss, and French comic book artist Moebius, among many others. It was to star the most ambitious cast ever assembled, including Orson Welles, Salvador Dali and even Mick Jagger! If this sounds like a bizarre fever dream of a movie, trust me, I think anyone that reads/sees this evidence would have a similar reaction. Yet what if this movie had been released? What if it did make its theatrical date that would have proceeded Star Wars? Would blockbuster films be the same as they are now? Heck, would we as a society see films as we do now if it had existed? Director Frank Pavich poses these questions to the audience on several occasions, both in sound bytes and in just a simple train of thought, and that might just be the greatest selling point of the documentary itself. It’s like viewing a time capsule of an era that never occurred. 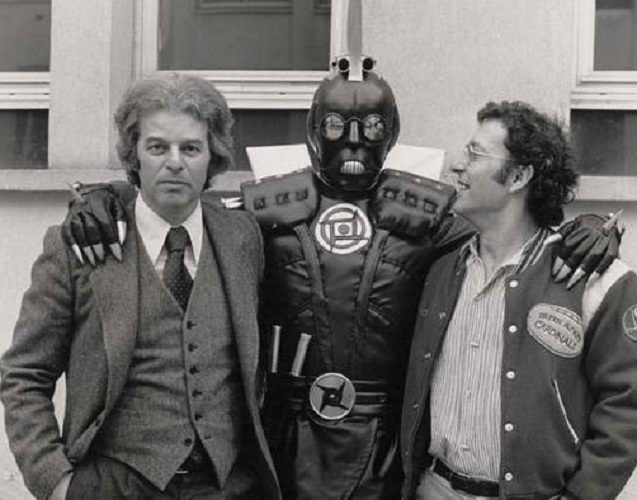 But of course, the real star of the doc is Jodorowsky himself. His unabashed honesty is one rarely seen from directors these days, and though sometimes that can come off a bit harsh, its beautiful and breathtaking to see. One moment, in which he describes the truth that he has never read Dune and took huge liberties with his interpretation, seems to be filled with phrases that only a true artist could say. He comes off as a lunatic, but the kind that you would follow to the ends of the Earth with his brilliance in said lunacy. Anyone that has the guts to try and cast Orson Welles as Baron Harkonnen, is automatically someone I respect. But anyone that does that, plus feels he can make a 14 hour film version of one of the most complicated fictional novels ever written? Well, then he gets added to my list of real life superheroes. It’s a shame most people will never know of his version of Dune that truly could have happened, but for us few that now do, I can say I feel privileged to know of it’s possible existence. 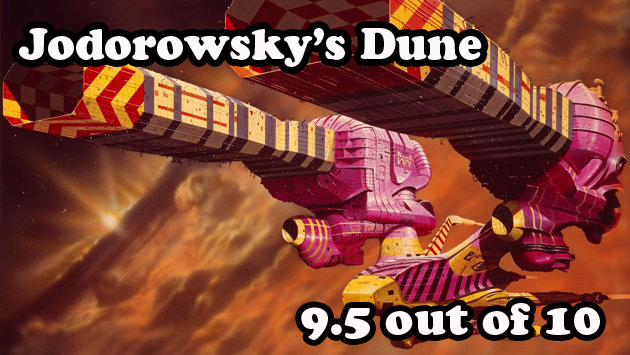 Even though we all know the outcome of the story, with Lynch’s Dune coming to life in the mid-80’s, it’s a marvel to see the impact Jodorowsky’s version still had on the industry as a whole. If you are at all a fan of film or Sci-Fi, you need to experience this documentary, for it will change everything you ever thought of movies in general. And like the last scene involving the death of the Dune‘s protagonist (Paul), I believe we (the audience) now all share a collective understanding of the potential that film can achieve as a form of creative expression. 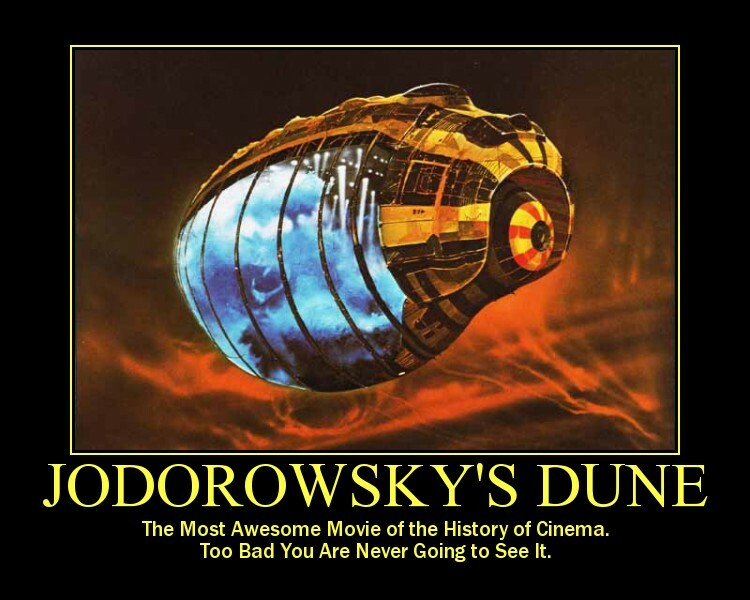 It’s more than just a dark room and a group eating popcorn, it’s more than just a one time thrill – films are an art that should be respected, and Jodorowsky’s Dune is the best example of this.